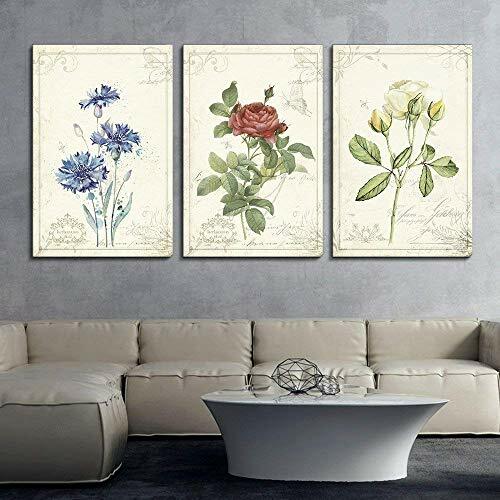 these look great on any wall. Subtle enough to blend but colorful enough to decorate the walls. I adore these! They are hung up in my office and I get complements on them daily. The quality for the price is almost unbelievable. The canvas art we purchased for our bathroom is exactly what we wanted. Good quality, bright and beautiful. Absolutely gorgeous. Super easy to put together and the careful details in it are great. I was looking for a living room decor set for a long time and I finally found it. I put these (largest size) over my couch and they fit perfectly!! All I had to do was screw the photo holders on the back and hang them. Great quality and great price. These went perfectly in my guest bedroom. They shipped very fast and are true to size!